The Silent Study Room Is Back! 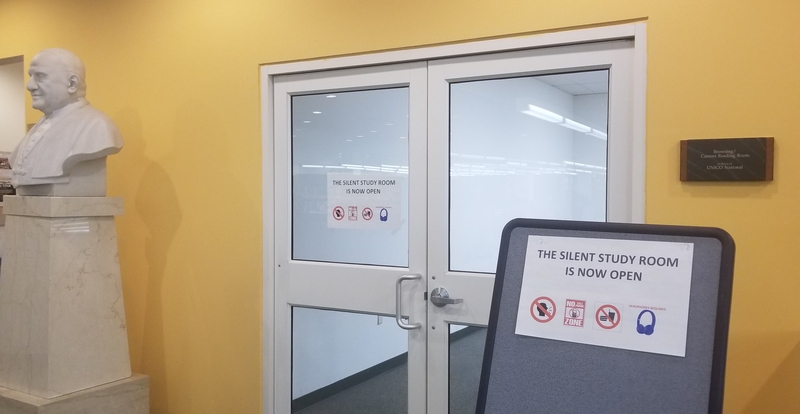 #SHU_Libraries announces the return of the Silent Study Room! Located on the 2nd floor across from the Circulation Desk, the Silent Study room is available all hours the library is open, for anyone seeking a quiet space to study, relax, or reflect.